The best apps are the ones that are versatile and productive. I only use a handful of apps, but I use them for everything! I recently purchased 6 ipod touches (with school funding) for my students to use in the classroom and I have noticed that I have been stressed about getting the best "apps" for education. 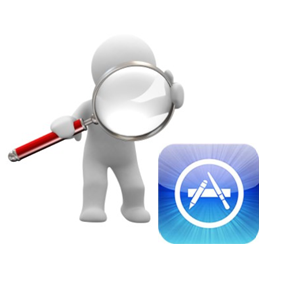 I have been doing tons of research and testing individual apps to assess their value. I even recently attended an Apple Conference that featured Educational Apps for the iPad, iPhone, and the iPod Touch. As I was watching the presentation, I noticed that there were a lot of apps that were only good for one purpose. I found that I had no interest in those apps, especially if they weren't free. For example, there was one app that featured practice on just divisibility facts. That's great, but at that rate, people will be downloading hundreds, if not thousands of apps for single purposes for multiple subjects. What most interests me, are apps that have a wide range of productivity and versatility. I preferred the apps that I could use over and over again for multiple subjects, and for multiple purposes. These were the apps that I most valued and wanted for my students to use. apps that allowed me to use a variety of Bloom's levels. "An app’s rubric score is very dependent on the intended purpose and student needs. The score you give an app will differ from how others score it. Again, apps that score low may still be good apps. But, it is handy to score apps if you are making purchasing decisions and/or have multiple apps to choose from." By using Tony's App Evaluation System, I was able to maximize and organize the educational apps that I now use with my students. Below are my top Educational Apps that I use with my students. 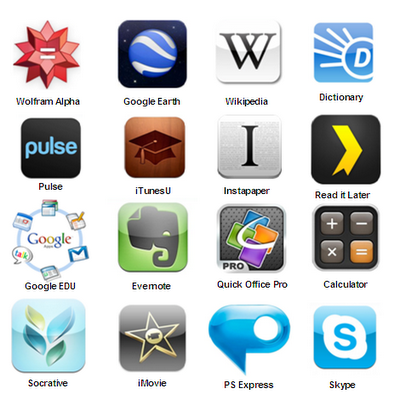 Most of these apps are available for devices on multiple platforms, which I think is helpful if your school has a BYOD (Bring Your Own Device) policy.